Emma is doing her research in the field of Systematic theology, with Marriage theology as her area of interest. 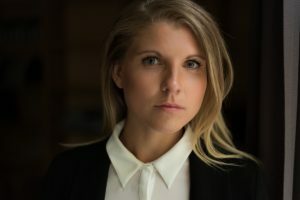 Her research is focused on how Christian Churches (with special focus on the Evangelical-Lutheran Church of Finland) discuss questions about marriage and how this effects members of different minorities, inside and outside the church. Questions about church and marriage is also of certain interest in a society where the church, still quantitatively in a majority position, is increasingly perceived as contributing with a minority perspective.